Over 30 years ago my eyes were opened. Being brought up to believe popular and rock music was bad and belonged to the devil and must not be listened too at any cost a friend gave me a cassette tape to listen to. It supposedly had some Christian Rock music on it. Christian and Rock in the same sentance did not compute in my young brain. 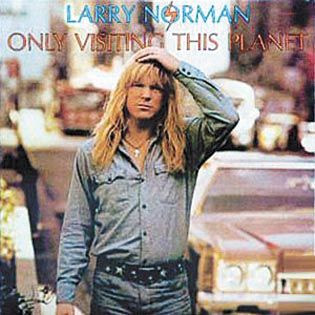 But this cassette was by Larry Norman and he screamed out his hit song "Why should the devil have all the best music?" and something about having long hair to make room for his brain. My world was never quite the same again. Unfortunately Larry died this week aged 60. You can read his last words here.